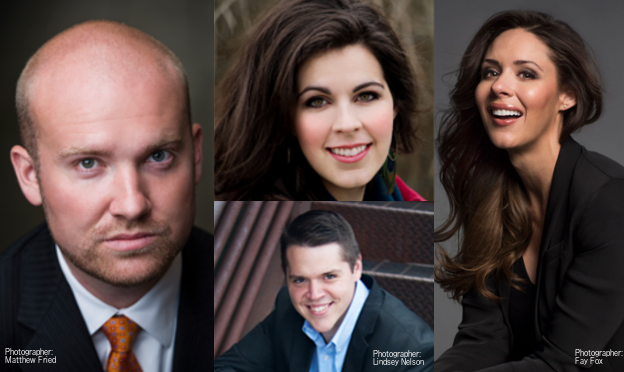 Soloists For New Messiah Recording Announced! On Friday March 4, 2016, just in time for Easter, the Mormon Tabernacle Choir and Orchestra at Temple Square will release their newest recording, two versions of Handel’s Messiah: The Complete Oratorio on 2 CDs with a bonus DVD, and a 60-minute Highlights CD. This beloved musical masterpiece by George Frideric Handel, first performed in the spring of 1742, still attracts audiences around the world. On Thursday and Friday, March 22–23, 2018, the Mormon Tabernacle Choir and Orchestra at Temple Square will present Handel’s Messiah in the Salt Lake Tabernacle on Temple Square. These performances continue a tradition begun in 2014 of performing Messiah live in the Tabernacle every two years. George Frideric Handel’s musical masterpiece, first performed in the spring of 1742, has become one of the world’s most beloved musical works. Composed by Handel in just 24 days, this 260-page work has been performed around the world for over 275 years. Early in 2016 the Mormon Tabernacle Choir gave fans the chance of lifetime by inviting singers to join in the world’s largest virtual “Hallelujah” Chorus. Fans from around the globe were encouraged to submit videos of themselves singing along with the “Hallelujah” part of their choice (soprano, alto, tenor, bass). Select singers were chosen to be featured in the final video with the Choir and Orchestra at Temple Square. Messiah Concert Tickets Available February 23rd at 7:00 p.m. MST! To celebrate the birth, life, and resurrection of Jesus Christ during this 2016 Easter season, the Mormon Tabernacle Choir and Orchestra at Temple Square will present Handel’s beloved oratorio Messiah in its entirety. The concerts will be held on Thursday, March 24 and Good Friday, March 25 at 7:30 p.m. in the Tabernacle in Salt Lake City, Utah.